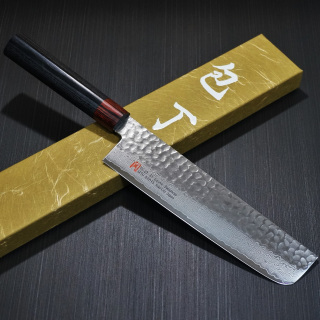 ​The SETO 'I' RANGE is a high spec professional chefs knife, razor sharp out of the box and durable with a long lasting edge. 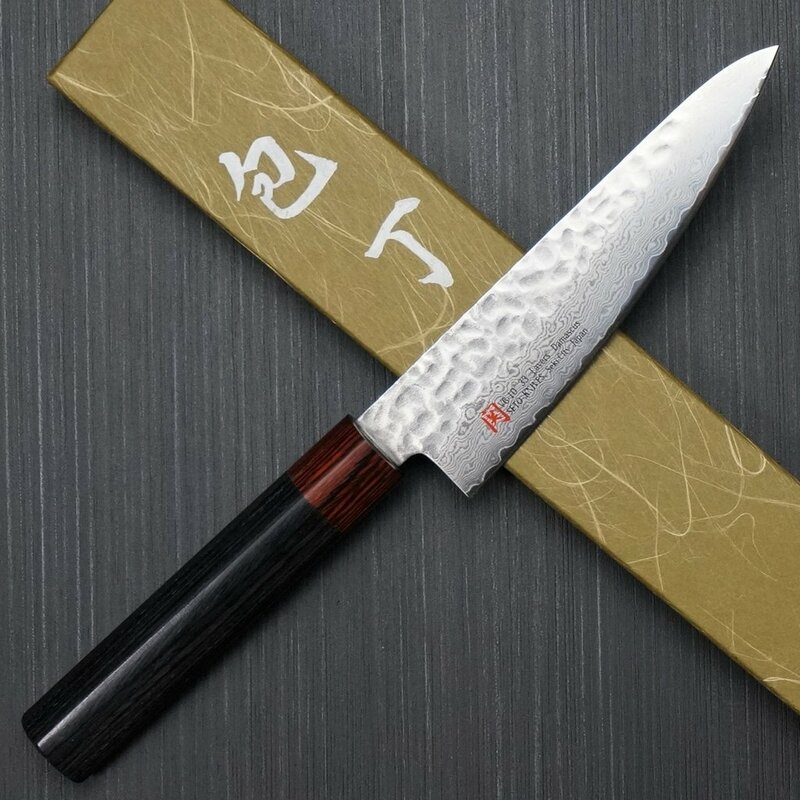 The core is premium VG10 Japanese Steel surrounded by 33 layers of hammered (tsuchume) Damascus to create a stunning blade. 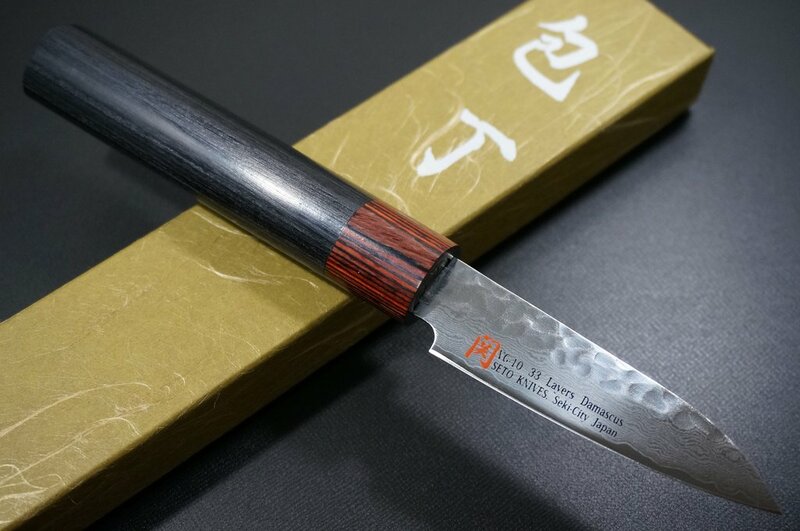 The SETO is expertly balanced with a lamintated cocobolo collar and solid pakka wood handle which is long lasting and more hygienic than wood. This knife a welcome addition to the most discerning Chef. 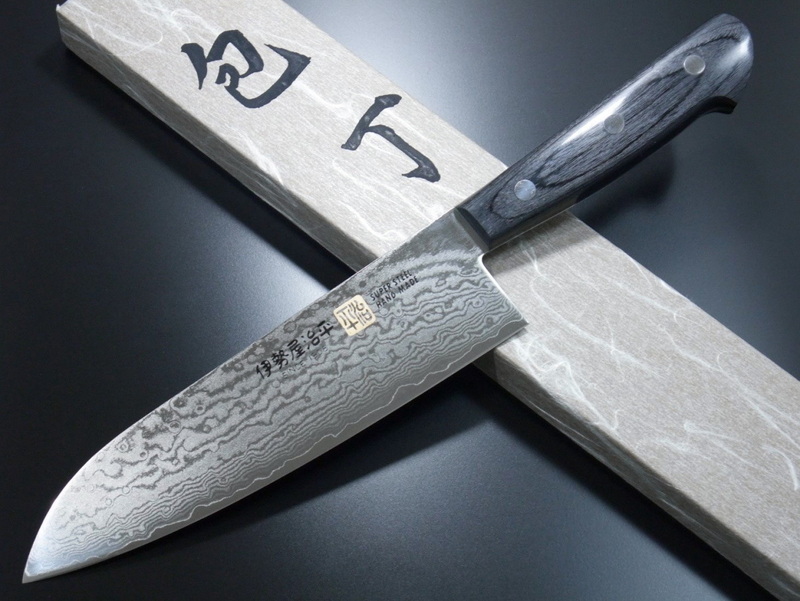 VG-10 is high-carbon stainless steel with a Rockwell hardness of 60-61 creating an excellent long lasting edge which will last a very long time. A shorter version of the Santoku for more fiddly prep - ideal for chopping, dicing and filleting. 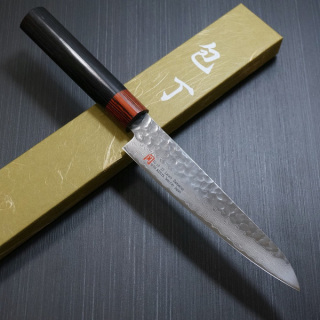 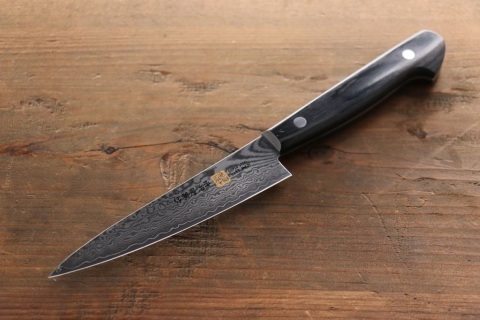 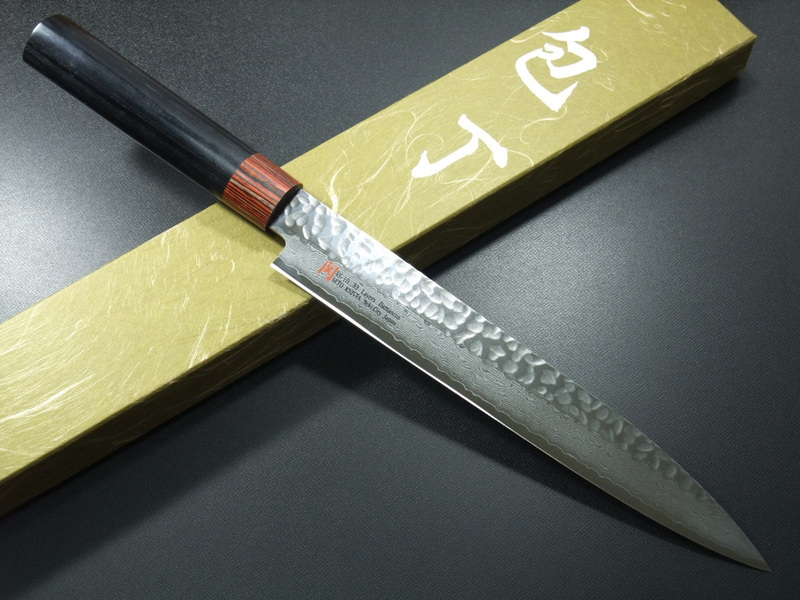 The raised heel and thicker blade make it great versatile alternative to the the paring knife and only a fraction of the cost of the Santoku. 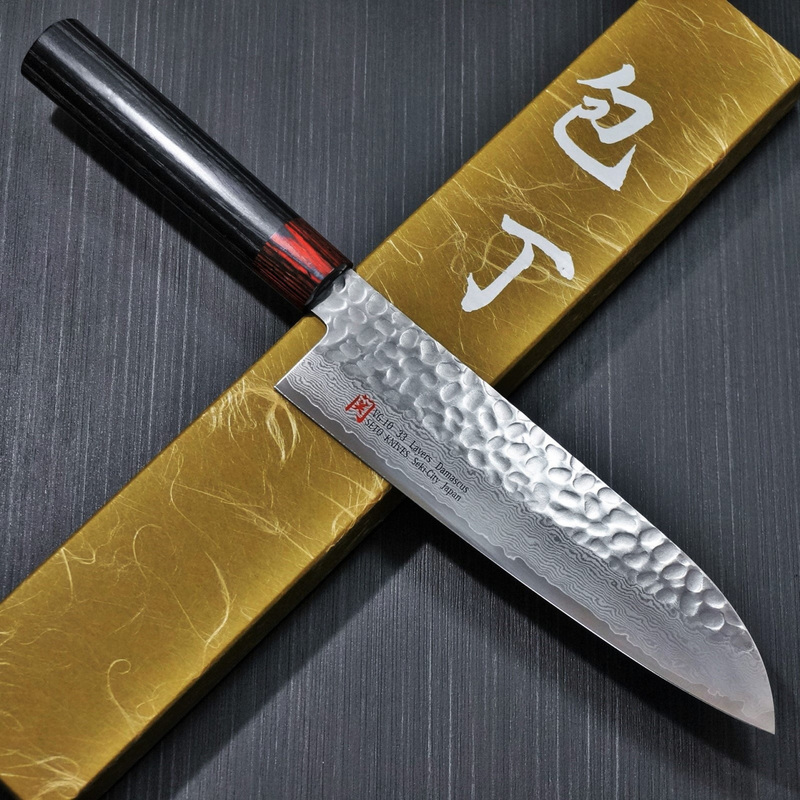 A great Introduction to the range.